Indian Air Force IAF Recruitment 2018-19 (Government Jobs in India) Group C notification for 33 lower division clerk and draughtsmen posts. All legible and interested candidates can apply on or before (26-02-2018). 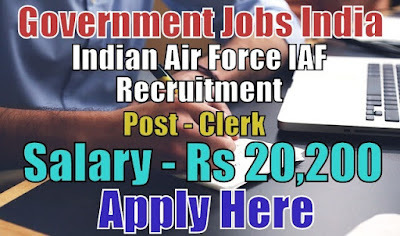 Further information about the Indian Air Force recruitment vacancy and job after 12th, courses, salary details, IAF career, sports quota jobs, application fee, IAF government jobs, air force vacancy 12th pass, educational qualifications and all other details/information about these posts are mentioned in details below. 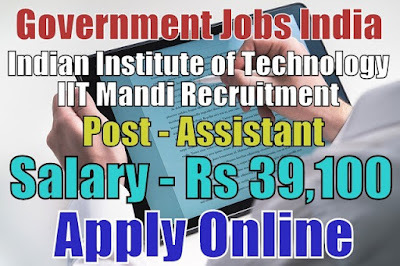 Indian Institute of Technology Delhi Mandi Recruitment 2018-19 (Non-Teaching Positions, Government Jobs in India) notification for 33 assistant, accountant and various posts. All legible and interested candidates can apply on or before (15-02-2018). Further information about the Indian Institute of Technology recruitment courses, vacancies, post details, IIT jobs salary and careers, IIT Mandi placements and job vacancies, application fee, IIT government jobs in India, educational qualifications and all other details/information about this post is mentioned in details below. Central Water Commission CWC Recruitment 2018-19 (Ministry of Water Resources, Government Jobs in India) notification for 22 skilled work assistant posts. All legible and interested candidates can apply on or before (28-02-2018). 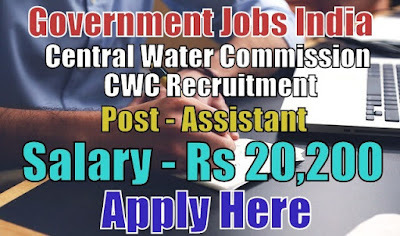 Further information about the Central Water Commission recruitment courses and exams, vacancies, salary details, careers, CWC government jobs in India, application fee, age limit, CWC careers, educational qualifications and all other details/information about this post is mentioned in details below. 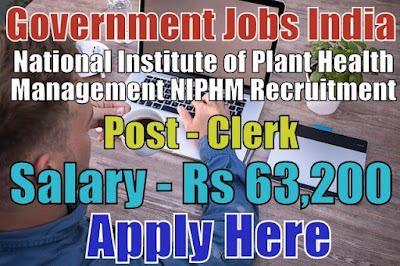 National Institute of Plant Health Management NIPHM Recruitment 2018-19 (Ministry of Agriculture and Farmers Welfare, Government Jobs in India) notification for 01 lower division clerk posts. All legible and interested candidates can apply on or before (08-02-2018). Further information about the National Institute of Plant Health Management recruitment courses and exams, vacancies, salary details, NIPHM careers, application fee, NIPHM government jobs in India, educational qualifications and all other details/information about this post is mentioned in details below. 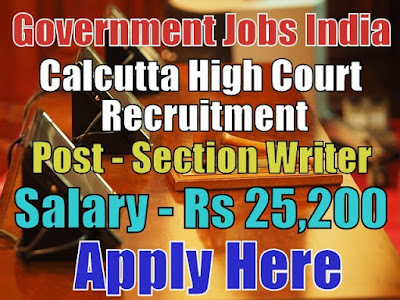 Calcutta High Court Recruitment 2018-19 notification (Government Jobs in India) for 14 manuscript section writer posts. All legible and interested candidates can apply on or before (12-02-2018). Further information about the ojas High Court of Calcutta jobs and exams, vacancies, salary details, online form, application fee, HC career, Calcutta High Court government jobs in India, educational qualifications, experience and all other details/information about this post is mentioned in details below. Delhi Metro Rail Corporation Limited DMRC Recruitment 2018-19 notification (Ministry of Railways, Government Jobs in India) for 1896 assistant manager, engineer and various posts. All legible and interested candidates can apply on or before (26-02-2018). 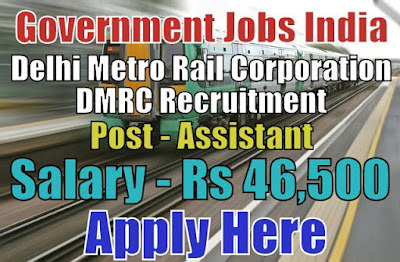 Further information about the Delhi Metro Rail Corporation Limited recruitment courses and exams, vacancies, salary details, DMRC Maha-Metro login and careers, application fee, DMRC government jobs in India, educational qualifications and all other details/ information about this post is mentioned in detail below. Indian Oil Corporation Limited IOCL recruitment 2018-19 notification (Government Jobs in India) for 98 junior operator and junior chargeman posts. All legible and interested candidates can apply on or before (10-02-2018). 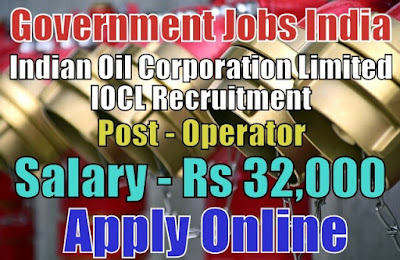 Further information about the Indian Oil Corporation Limited jobs and exams, vacancies, salary details, online form, application fee, IOCL careers, IOCL government jobs in India, educational qualifications, experience and all other details/information about this post is mentioned in details below. State Bank of India SBI Recruitment 2018-19 (Government Jobs in India) notification for 8301 junior associates posts. All legible and interested candidates can apply on or before (10-02-2018). 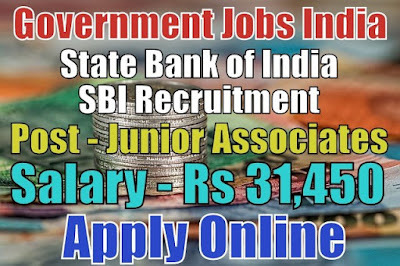 Further information about the State Bank of India Recruitment courses and exams, vacancies, salary details, SBI recruitment careers, application fee, SBI government jobs in India, educational qualifications, SBI PO online application form and all other details/information about this post is mentioned in detail below. Indian Post Office Recruitment 2018-19 Department of Posts notification (Ministry of Communication, Government Jobs in India) for 04 assistant, postman and MTS posts. All legible and interested candidates can apply on or before (20-02-2018). 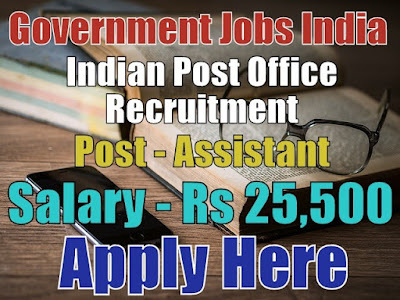 Further information about Indian post office exam, jobs, salary details, post office vacancy, application fee, postal assistant, postal recruitment, India Post Office government jobs in India, educational qualifications and all other details/information about this post is mentioned in details below. 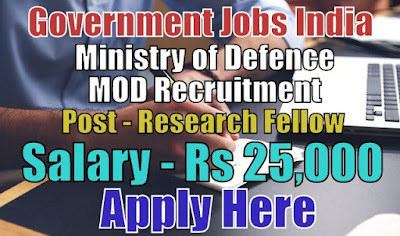 Ministry of Defence MOD Recruitment 2018-19 (Government Jobs in India) notification for 01 junior research fellow posts. All legible and interested candidates can apply on or before (09-02-2018). Further information about the Ministry of Defence courses and exams, vacancies, salary details, MOD careers, application fee, defence recruitment, fresher jobs, MOD government jobs in India, educational qualifications and all other details/information about this post is mentioned in details below. Indian Institute of Technology BHU IIT Recruitment 2018-19 (Government Jobs in India) notification for 01 junior research fellow posts. All legible and interested candidates can apply on or before (31-01-2018). 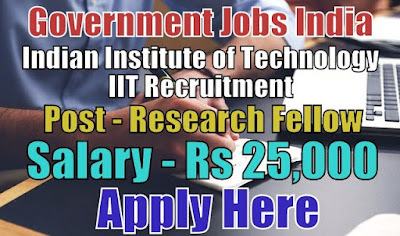 Further information about the Indian Institute of Technology recruitment courses, vacancies, post details, IIT jobs salary and careers, IIT BHU job vacancy, BHU government jobs in India, application fee, educational qualifications and all other details/information about this post is mentioned in details below. National Mineral Development Corporation NMDC Recruitment 2018-19 notification (Ministry of Steel, Government Jobs in India) for 44 maintenance assistant posts. All legible and interested candidates have to apply on or before (12-02-2018). 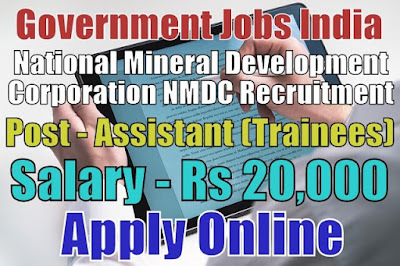 Further information about the National Mineral Development Corporation Recruitment courses and exams, vacancies, salary details, NMDC recruitment result and careers, NMDC government jobs in India, application fee, NMDC apprenticeship salary, educational qualifications and all other details/information about this post is mentioned in details below. Ramagundam Fertilizers and Chemicals Limited RFCL Recruitment 2018-19 (Ministry of Social Justice and Empowerment, Government Jobs in India) notification for 41 management trainees posts. All legible and interested candidates can apply on or before (09-02-2018). 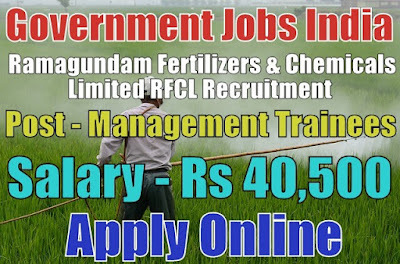 Further information about the Ramagundam Fertilizers and Chemicals Limited recruitment courses and exams, vacancies, salary details, RFCL careers, application fee, RFCL government jobs in India, educational qualifications and all other details/information about this post is mentioned in details below. 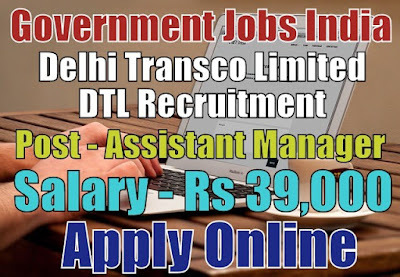 Delhi Transco Limited DTL Recruitment 2018-19 notification (Government Jobs in India) for 33 assistant manager posts. All legible and interested candidates have to apply on or before (20-02-2018). Further information about the Delhi Transco Limited Recruitment courses and exams, vacancies, salary details, DTL recruitment result and careers, DTL government jobs in India, application fee, educational qualifications and all other details/information about this post is mentioned in details below.